Rabbi Stuart Altshuler has served as rabbi of Belsize Square Synagogue since January 2011, bringing his own brand of vibrancy to the congregation. His warmth, enthusiasm and years of rabbinic experience have brought a whole range of educational and spiritual experiences to the congregation and to the wider Jewish and secular community. He has led community trips to Poland, visiting Krakow and Auschwitz, and to the Beth Shalom Holocaust Centre in Nottinghamshire. He organised a special concert given by Maxim Vengerov, one of the world’s leading violinists, and has invited a variety of eminent speakers to the congregation such as Rabbi Dr Ismar Schorsch, former Chancellor of the Jewish Theological Seminary, Rabbi Joel Rembaum, writer Douglas Murray and Imam Dr Muzammil Siddiqi. 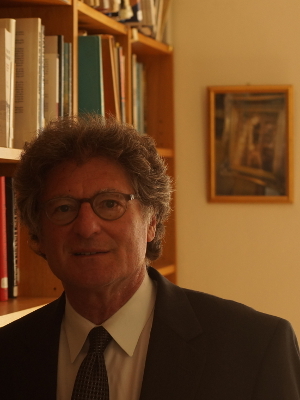 Los Angeles-born Rabbi Altshuler has combined a congregational and academic career. His previous post before coming to London was as professor of history and philosophy in the Jewish Studies Department at Chapman University in Orange, California. He studied, was ordained and received his doctorate from the Jewish Theological Seminary in New York City, is a Masorti/Conservative rabbi, a member of the Rabbinical Assembly, and has served congregations in Connecticut, Virginia, Chicago and Southern California. He is author of the book, From Exodus to Freedom: a History of the Soviet Jewry Movement. Rabbi Altshuler is married to Ella, an acclaimed music recording artist and author, and they have a teenage son, Micah. Rabbi Altshuler also has two older children: Elana, who lives with her family in Arlington, Virginia, and his son, Eitan, who resides in Tel Aviv, Israel.